Canine Hip Dysplasia (CHD) is the most common cause of rear leg lameness in dogs. CHD results from the abnormal formation of the hip joint, causing instability and eventual degeneration of the joint. Eventually, dogs with CHD develop arthritis of the hips which may lead to crippling of the rear limbs. Certain breeds of dogs are more prone to CHD. 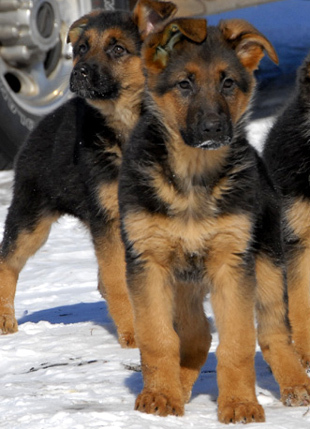 Large breed dogs such as Saint Bernards, Newfoundlands, Rottweilers, Golden Retrievers, Chesapeake Bay Retrievers and German Shepherds are genetically predisposed to CHD. 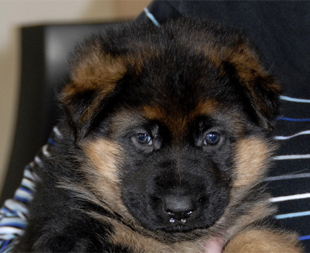 Smaller breed dogs may also be affected, although they are less likely to show clinical signs. The cause of CHD is unknown, although it is believed that rapid development of the skeleton may predispose dogs to this disease. Other factors which may contribute to the development of CHD include diet and heredity. In affected dogs, the ball of the femur sits loosely in the socket of the hip and the weight of the dog causes abnormal wear on the joint. Not all dogs with hip dysplasia are affected to the same degree, nor will all dogs show clinical signs. On the other hand, dogs suffering from CHD may show signs as early as 4 – 12 months of age. The most common clinical signs include: pain in the hip, especially when rising or after resting, limping, a swaying gait, reluctance to climb stairs and bunny hopping. CHD is best diagnosed with x-rays. In earlier stages, observable changes seen with x-rays may be very minor. Your veterinarian may request permission to sedate or anesthetize your pet in order to obtain the best possible pictures of your dog’s hips. Several manipulations of the hips are used to diagnose looseness of the hips and the predisposition towards hip dysplasia. These include the OFA method, the Penn Hip method, and the Genetic Disease Control method, which are used to certify breeding dogs and test for joint laxity. Dogs with CHD are evaluated according to the severity of the x-ray findings. 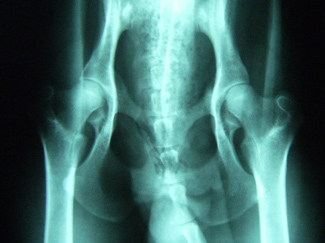 Mild hip dysplasia is identified in dogs in which the hips merely show evidence of increased space in the joint. Moderate hip dysplasia is diagnosed when signs of arthritis are evident, including the flattening of the ball of the femur or some roughness on the joint surface. Severe dysplasia shows complete degeneration of the head of the femur and extreme arthritis of the joint. Canine Hip Dysplasia cannot be reversed, however, there are a number of options to alleviate the pain associated with the arthritic changes. The most common treatment plan includes the use of non-steroidal anti-inflammatories such as Rimadyl in combination with an exercise plan. Other medications to promote joint health, such as Adequan or Chondroitin Sulfate with Glucosamine (Cosequin), may also be prescribed by your veterinarian. Overweight pets may be put on special diets to reduce stress on the joints. In severely affected dogs, surgery may be recommended. There are a number of surgical procedures which your veterinarian may discuss or recommend. These include removal of the ball of the femur, reconstruction of the joint, or replacement of the head of the femur with a prosthetic. The best treatment for CHD is prevention. 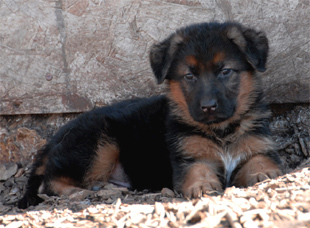 Prior to obtaining a purebred dog of one of the predisposed breeds, it is well-advised to request information on the status of both its parents. If your puppy shows early signs of the condition, prevention of excessive weight gain may slow the progression of the disease.